The prevailing Northeast Monsoon season is forecast to continue for a few more months. During this period, the monsoon rain band is expected to remain south of the equator, and for the southern ASEAN region, most of the shower activities are expected over the Java Sea and surrounding areas while over the equatorial region, including Malaysia, Singapore, Sumatra and Kalimantan, occasional dry weather can be expected. 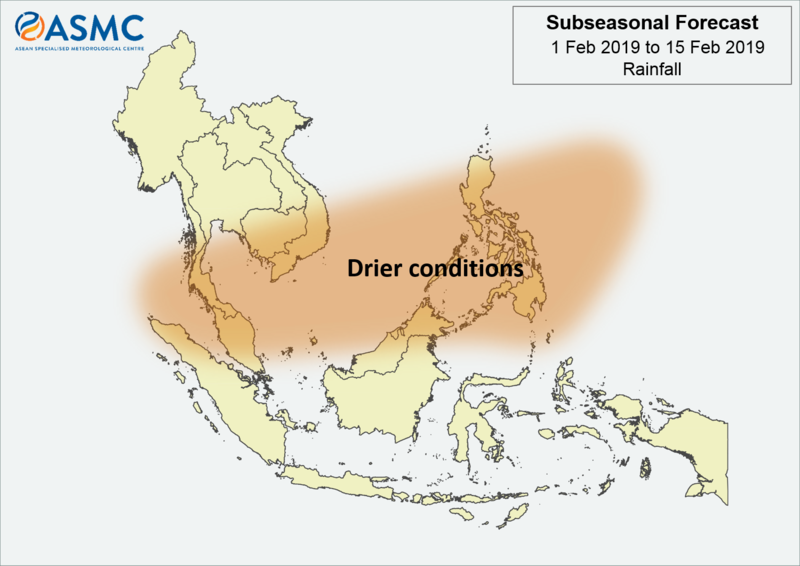 For the northern ASEAN region which is currently experiencing is traditional dry season, the prevailing dry weather is forecast to persist for the next fortnight. In Week 1, drier than usual conditions are expected over many parts of the Philippines and the South China Sea, and may extend westward over the Andaman Sea by Week 2, coinciding with a strengthening of the northeasterly or easterly winds. 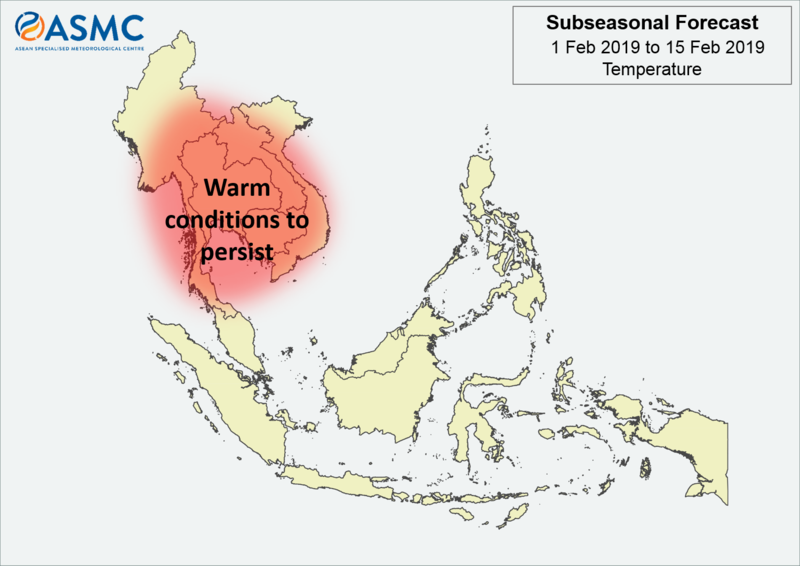 The current warm conditions prevailing over the Mekong sub-region are forecast to persist throughout the fortnight. The MJO that was active in the Maritime Continent has moved into the western Pacific Ocean. It is likely that the MJO will remain active, exacerbating the dry conditions. The outlook is assessed for the region in general. For specific updates on the national scale, the relevant ASEAN National Meteorological and Hydrological Services should be consulted.